Remutaka (Rimutaka) Hill Road climbing to the 555m summit and linkng Wellington and the Wairarapa. Tararua Range beyond. 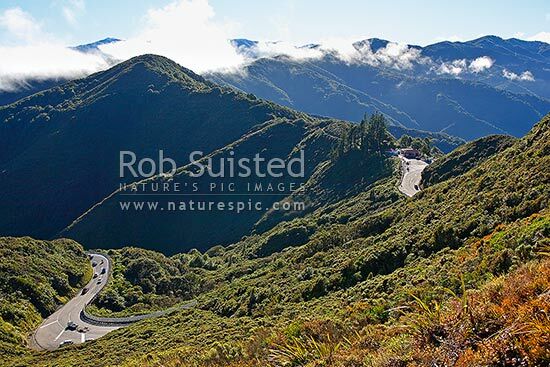 (State Highway 2), Remutaka, Upper Hutt City District, Wellington Region, New Zealand (NZ), stock photo.